The Cactus Mountain Property Team, Royal Henry, Toni Johnson and Carolyn Roberson, would like to introduce new members Marcie Franklin-Gascoyne, James Gascoyne and Ron Davis. They are SunBird homeowners and have great experience in SunBird real estate. 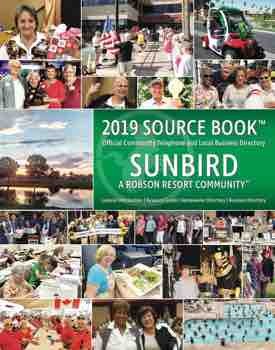 We all live, work and play in SunBird. About 50 beautiful classic and newer cars were on display at the clubhouse. 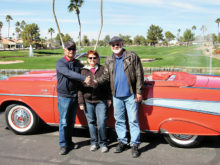 The People’s Choice award went to the 1957 Chevrolet Bel Air convertible owned by Alfred and Susan Cordova. Thank you to all the organizers and vehicle owners who participated in this show.